Exploring the unknown requires tolerating the uncertainty. Dakak Resort is a beautiful gem that is quite known to the people here but not a lot actually experienced it outside the province. The pristine white shores here made it an ideal setting for a luxurious resort and the privacy you'll get is top notch since it is surrounded by lush peaks and quite far from the city. The resort continually worked in updating the experience in recent times that it's almost unrecognizable a decade ago. This list will give you an idea of what to expect in the resort and new things they've added to improve your staying experience with them. And there's a lot that you thought you knew about Dakak Resort but actually don't. 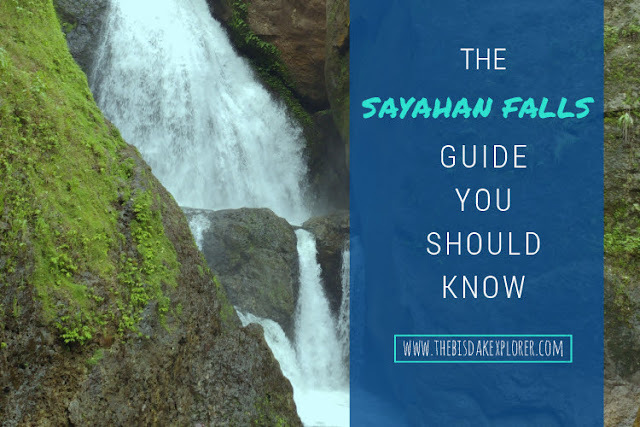 Sayahan Falls is a natural gem tucked away in the most remote area of Ormoc. For years it manage to hide itself from the eyes of the tourists til recently when it was opened to the public last December 2016. It's a multi-tiered type of waterfall where the flow drops in a series of distinct steps or mini falls. What made this a must visit is its sheer size with an estimated height of over a hundred feet. And also the deep basin that's perfect for swimming and a rope was setup for the safety of those who can't swim. Alegria is home to numerous stunning waterfalls and Cambais Falls happens to be one of those waterfall dearest to my heart. My waterfall chasing squad back in the days made it known to the social media thus making it now famous to the public. 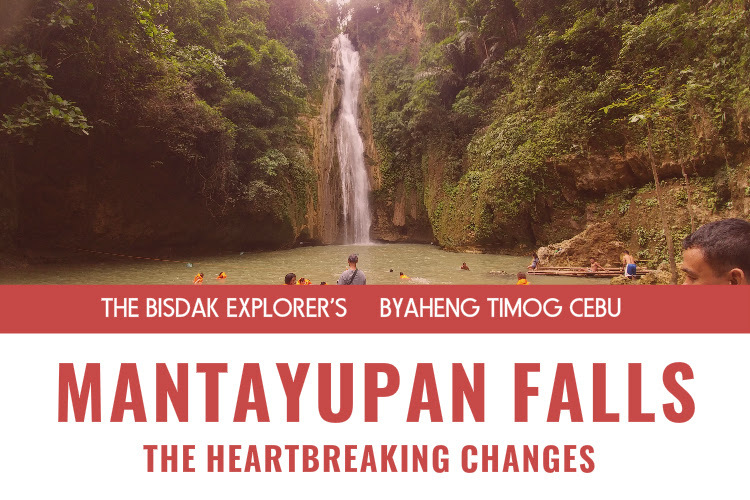 We first laid eyes on this waterfall back in the days when numerous waterfalls in Cebu debut and became an instant fad in Instagram. Everyone are out on a hunt of a waterfall they can claim they discover. Just like any fad it was short-lived but the discoveries of new tourist spots was a fruitful outcome of it. 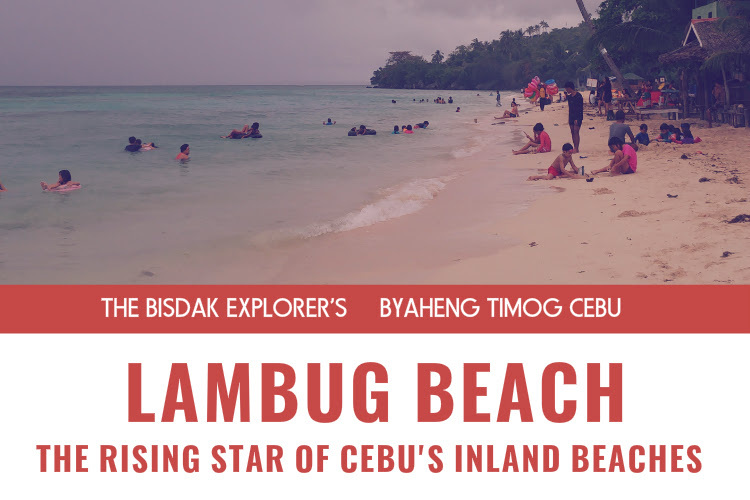 Lambug Beach is a recently known white beach destination in the province. It can easily compete with the classic favorites in the south such as the white sand beach in Moalboal & Alcoy. I'd say it's rightfully deserving of such prestige because the quality of the sand here is finer and certainly better for swimming. Some people I know prefer Lambug Beach than the Moalboal & Alcoy's white sandy shore. 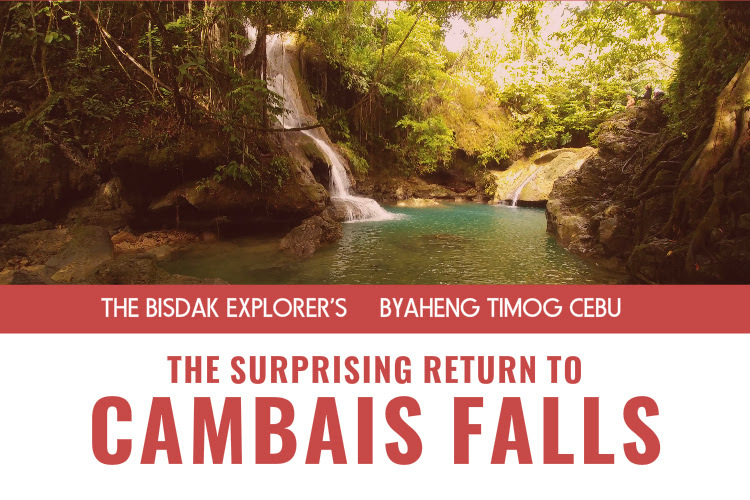 Highly regarded as one of the most beautiful waterfall and known as the highest in the province of Cebu towering for over one hundred meters. Mantayupan Falls is a long favorite of mine because of its breathtaking beauty but all of these changes once I revisit it again after almost a decade. 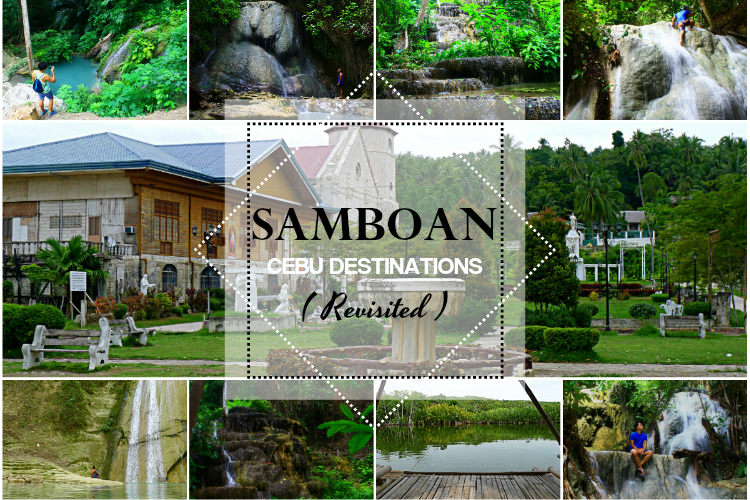 South Cebu is perfect for short weekend drive because almost every municipality has something to offer. That's what made the southern part of Cebu very appealing for those people who own a car to test drive because the road is quite developed and towns are mostly tourist friendly. No other pit stop is as famous for drivers than the Molave Milk Station in this side of Cebu. It's a sanctuary for weary drivers and bored passengers to stretch out those muscles. Today it undergo a major overhaul to make it more appealing to the new generation and made every corner instagrammable as they say. So the night all nominees been waiting for almost half a year has finally come. My entry was one of the lucky 87 entries from different categories who made the final cut out of the original 789. We got the email and text notice one week before the ceremony night. 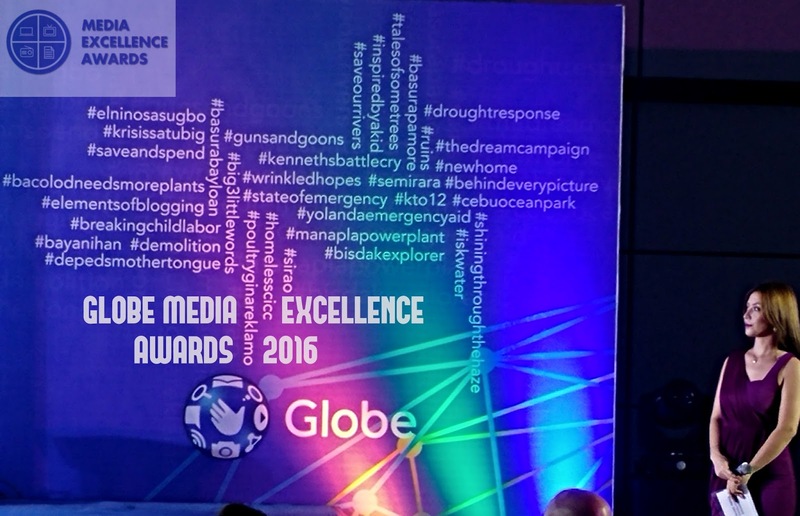 Who will be the reigning victors of the 5th Globe Media Excellence Awards for 2016. Find out my story counting down to that prestigious night. Anciently named as "Isla del Fuego" by the Spaniards which literally translated to "the island of fire", Siquijor will surely awaken the fiery passion within with its alluring sunsets, magical folklore, breathtaking beaches, timeworn structures, captivating waterfalls and haunting caves. I've been to this island for numerous times already and found myself enchanted with each visit as I discover more about the island. Beyond the tales of witches and black magics there's so many better reasons to consider this tiny island in your next trip and I assure you won't be disappointed. This is my travel guide to everything you need to know about Siquijor Island. 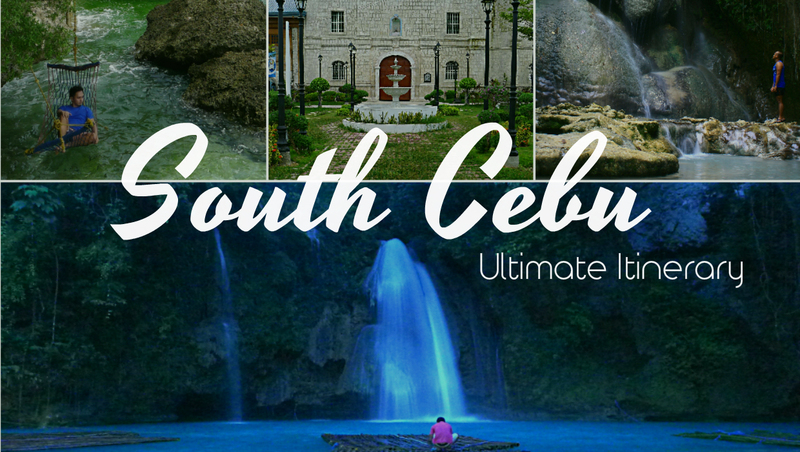 One of the most sought after destination in Cebu is the southern part of the province. Made famous by the whale sharks in Oslob, blinding white beaches of Moalboal and that exhilarating Alegria - Badian canyoneering adventure. The highest peak in the province is found in south as well along with the tallest & most beautiful waterfalls in the province. It is my dream to collate all the destinations in Cebu into one ambitious post and this is just one step to fulfilling that goal. I've formulated this itinerary for quite awhile now and finally tested it recently for 3D2N trip in the south. So I'll be sharing this raw information for all those DIY adventurers out there who wants to try it themselves. Enjoy! The recent influx of numerous waterfalls unearthed in the province made Cebu synonymous to this wondrous phenomenon of nature and Samboan happens to be smack in the middle of this social media trend. I've visited this laid back coastal town countless times already wowing guests I brought with me and I've noticed a big change on my recent visit. The three established waterfalls opened new waterfall levels, there's also a plan to open a restaurant afloat on a brackish lake, a new cave discovered to be made accessible to the public soon and the municipality famous for waterfalls added five newly discovered waterfalls to their stash. This is an update post to the major changes in Samboan that the public might not know of and also serve as an official travel guide for The Bisdak Explorer to this municipality as I wasn't able to properly make one. Tuburan is a peaceful coastal municipality of Cebu located in the northwest side of the province. An unexpected haven for nature lovers and adventure seekers for its natural wonders such as the numerous natural cold springs present in Molobolo, Mantiwahan and Little Baguio. Another famed attraction is the enigmatic Marmol Cliff that look like a gateway to another world and its numerous caves & waterfalls yearning to be explored. 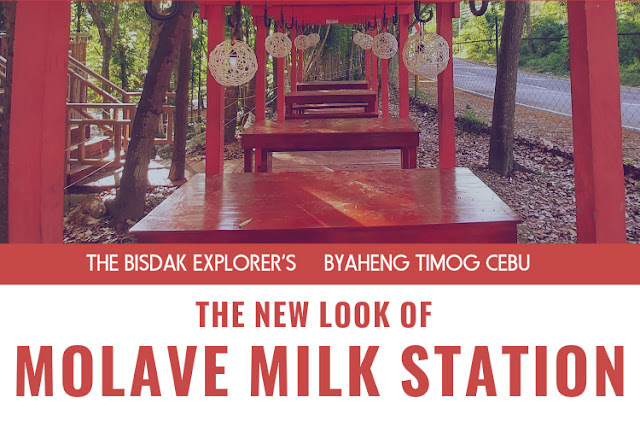 The historically significant Lantawan Lookout and the many white shores of Daang Lungsod, Apalan and Friendship. The best part of their existence is it's not known to many tourists and still conceal numerous natural splendor waiting to be discovered. We've visited it in one weekend and we were all in awe of its inherent beauty. Ever had that feeling that you just want to be alone somewhere beautiful to reflect on how your life has been. This pretty much sums up how I feel most of my life and that's why Port Barton suits me in many ways. 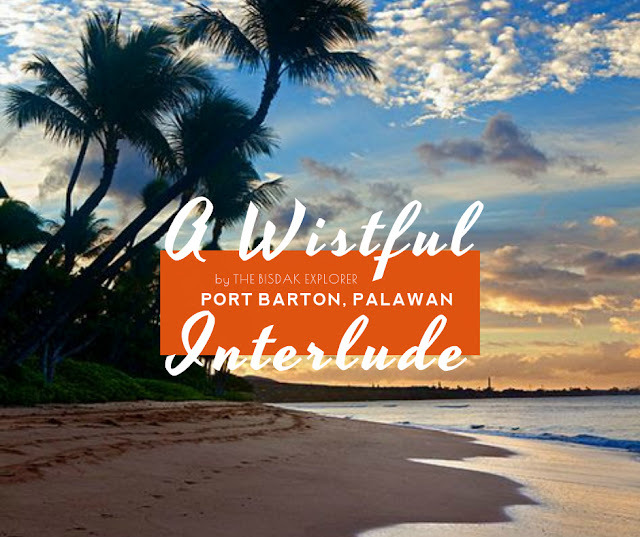 This secluded paradise is the real deal in Palawan and free from the influences of the outside world. Expect no constant supply of electricity, laid back and hospitable community of people, free from pollution of high end resorts and offer one of the most peaceful sunset scene I've ever witness in my life. They also have pristine undeveloped islands to explore, diverse coral gardens and a scenic hike which lead to a waterfall. You will be treated with nothing more than the raw beauty of nature. And so our last respite in the Northern Palawan escapade happens here.